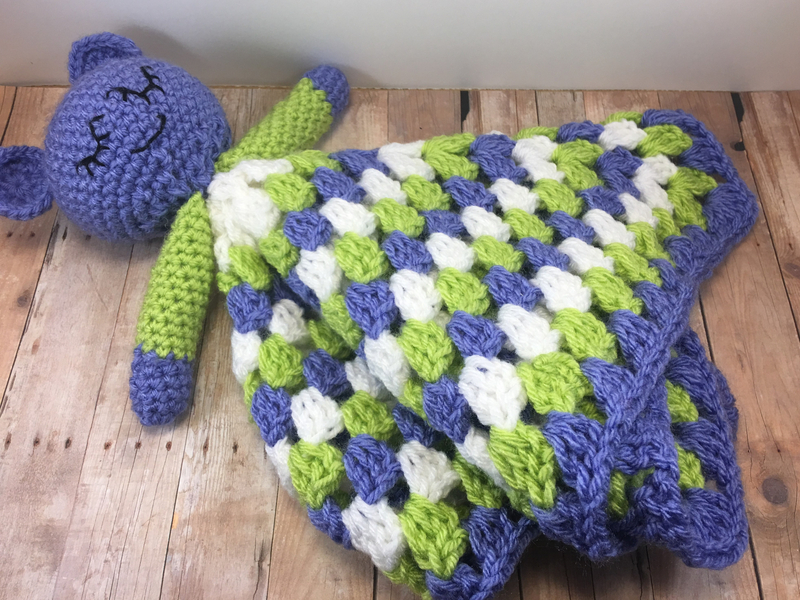 This is a soft and cute little security blanket for the little one in your life. It has a purple mouse head with green arms. The mouse must be having sweet dreams because it's sleeping with a cute little smile. The blanket part is light and airy and has lots of spaces for little fingers to grab. Cleaning Instructions: This is very hearty and can handle a washing machine and dryer.